After exhaust leaves the turbocharger it enters the downpipe. The downpipe is like any other exhaust component, it should let gasses through with as few bends as possible to maximize efficiency and power. 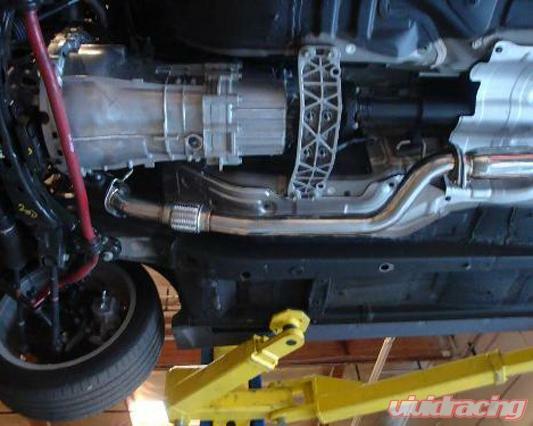 A downpipe is especially crucial because it comes directly after the turbo charger. A downpipe that is restrictive will greatly inhibit a turbochargers ability to function and greatly reduce power. 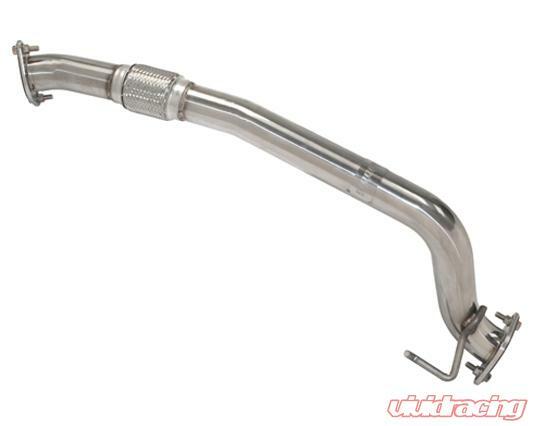 Due to popular demand, Megan Racing has finally developed our Stainless Steel downpipe for the 09+ Hyundai Genesis. This is a direct bolt on to stock components and allows the use of BOTH under braces without any modification to your car. The piping is constructed of stainless still with the exception of the first 90-Degree bend which is constructed of Cast-Steel. The reason for this was to keep the bend more uniform and the CFM of the exhaust up. Megan Racing has worked to design this downpipe with as few bends as possible. The increased efficiency of this Downpipe means faster throttle response, more horsepower and torque, and best of all less turbo lag. Increases throttle response, horsepower, and torque.